We are so excited for #HypeFest this Saturday, June 16th from 12 p.m. to 2 a.m at the Rustic in Dallas! Help us celebrate our five year anniversary as an agency with live performances from our favorite local artists. Take a look at our HypeFest Diary to get to know the artists performing at the event! 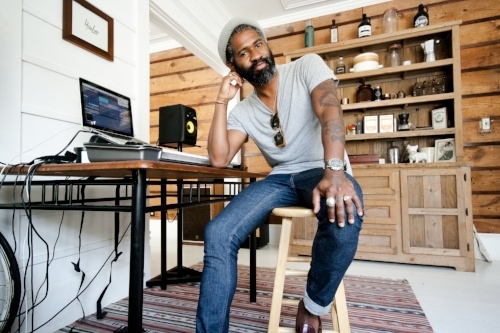 As a Dallas native, Kurk Thurmond has got a lot of soul to share. Kirk Thurmond and the millennials consider themselves a soul band, with a pop act performing a mix of pop and r&b. At a young age, various things shaped Kirk Thurmond into the musician he is today including his upbringing in Dallas, his lifestyle growing up in the Dallas neighborhoods has influenced his life and passion for music in nothing but a positive way. Although Kirk had many musical influences growing up, he recollects that Stevie Wonder taught him the most significant lesson, leaving her with inspirational words that have impacted her life as a musician and continue to do so. When asked about plans for Kirk Thurmond and the Millenials, Kirk sheds light on his ever-evolving ideas and an open mind for music. Kirk wants to produce timeless music that is inspired by the musicians that once inspired him. When asked why Kirk Thurmond and the Millenials are psyched to perform at this summer’s hype fest the reply was simple, they are excited to play new songs, gain new listeners and have a fun time!